Enhance your knowledge and skills with relevant information on Canada's environmental sector. In this free, 40-minute webinar, you will get the latest information on environmental employment and the skills employers are looking for. Joanne is an accomplished marketing research professional with a track record of proven experience. A second-generation native Calgarian, her Alberta-based career has given her a deep understanding of the hearts and minds of Albertans. Return clients speak to her flexible and resourceful practice and her ability to assimilate detail while always staying on point with study objectives. Before joining ECO, she enjoyed a varied career including both employment and self-employment in social and marketing research which allowed her to achieve the CMRP (“Certified Marketing Research Professional”) from the Marketing Research and Intelligence Association (MRIA) of Canada. 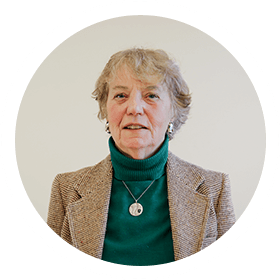 Joanne has personally directed many hundreds of research projects, and moderated more than 400 focus groups.